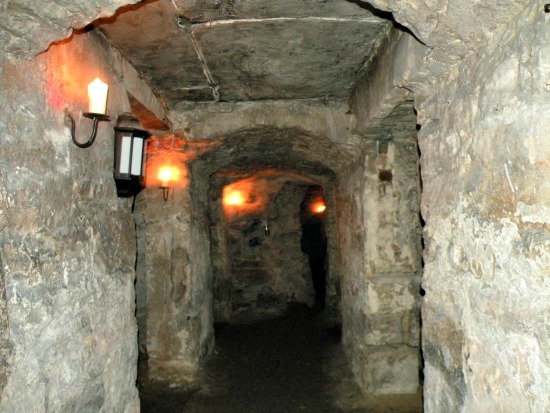 Are the Edinburgh Vaults Haunted? The Edinburgh vaults are not what you may expect as they are not burial chambers, but that of bridge arch's. Edinburgh was growing rapidly during the 18th century and two bridges were built to provide access across rivers for the ever expanding city. The North bridge was a simple crossing bridge, but the south bridge was much more elaborate. The South Bridge officially opened for business on March 1st, 1788 and due to the limited amount of space within the city the arch's were used as business's and storage facilities. Due to the south bridge being somewhat rushed it was never sealed properly and the vaults began to leaked badly, forcing some of them to be abandoned 1795, just seven years after being built. During the industrial revolution the vaults were used as a sort of red-light district and operated as slums and brothels and illegal pubs. The vaults varied in size with the smallest being just two meters square and the largest around 40 meters square. Some of the smaller vaults which were to small to accommodate an illegal business were used as slum housing and families of as many as ten people would cram into these damp and dirty arch's. There is only one arch visible from the outside as the rest have been covered up with other buildings, but the one which can be seen is known as the Cowgate arch. Today all arch's North side of the Cowgate arch are used for ghost tours while those on the south have been converted into an events venue which host weddings and parties. The Edinburgh vaults certainly have the making for being haunted, with one of the worst periods being when the vaults were first abandoned by business's in 1795 and used as slum housing. Crimes such as robbery and murder plagued the vaults on a regular basis. The infamous serial killers Burke and Hare would use the vaults as hunting ground to find fresh corpses to sell to the cities medical schools. With such a disturbing past it is no wonder that the vaults are haunted, and the media attention of the vaults has only helped to spread its ghostly reputation. 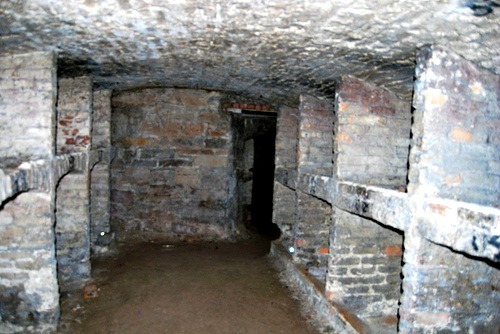 Shows such as Living TV's "Most haunted" and "Ghost Adventures" have investigated the vault's, experiencing numerous encounters. A team of BBC crew spent a night here in 2009 to do a one off special, and what they found was disturbing to say the least. They had various ghost hunting equipment including voice recorders and though no one heard it at the time, various voices were captured. One of these voices seemed to be that of a Catholic priest who was reading the last rites. If you are interested in hearing any of the EVP's recorded by the team, which includes sounds of children yelling, you can find it on a program called "Joe Swash Believes in Ghosts". The recordings have been investigated by various people and it has been concluded that the sounds did not come in from an outside source, such as a local nightclub. As for other paranormal activity at the vaults there really are to many stories to tell. With so many murders and so much suffering here people have made claims of everything from apparitions to being shoved by unseen hands.